Heating Method: By burning oil, natural gas, coal or electric heating. 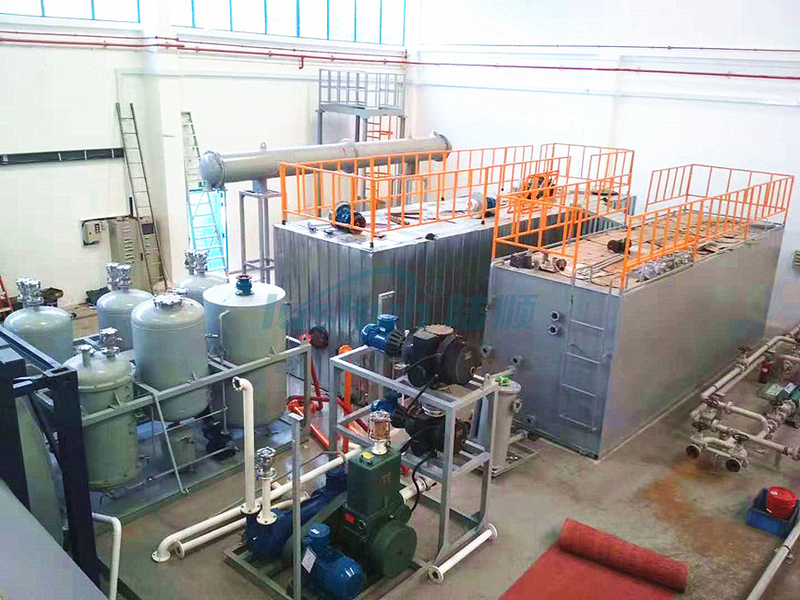 FZB-J series waste oil high temperature distillation equipment is mainly used for regenerating lubricating oil such as engine oil, lubrication oil, hydraulic oil, gear oil, diesel, and other oil mixture by vacuum distillation to acquire the qualified base oil and bits of gasoline or diesel. During the process of distillation, the hydrocarbon chain breaks to reform new the molecule of the oil, then turns into oil mist. Then the oil mist turns into liquid by condensation and the qualified oil comes out finally. 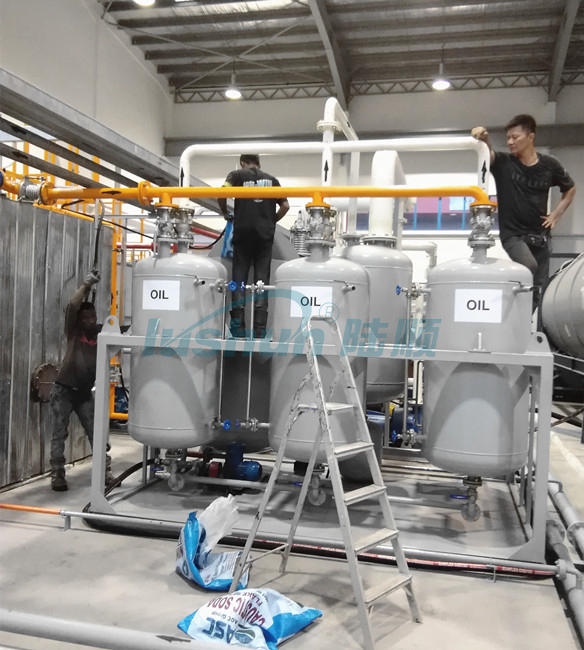 The equipment can effectively remove wearing debris, pitches, waxes, impurities, water contents, carbon deposits, oxides from the oil and decrease its acid value. 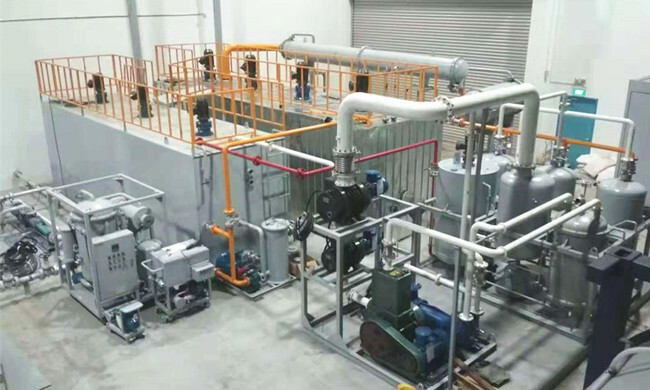 It is especially suitable for oil refineries and small enterprises who is in need of waste oil disposal. 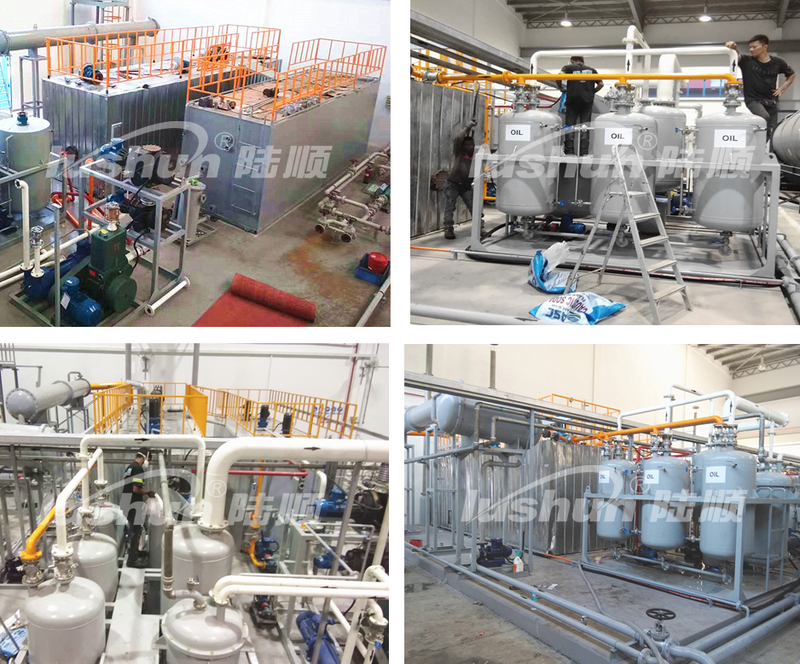 It is energy saving, environment friendly, and bits of waste residue generating. The waste residue does not contain oil and pollutes environment. 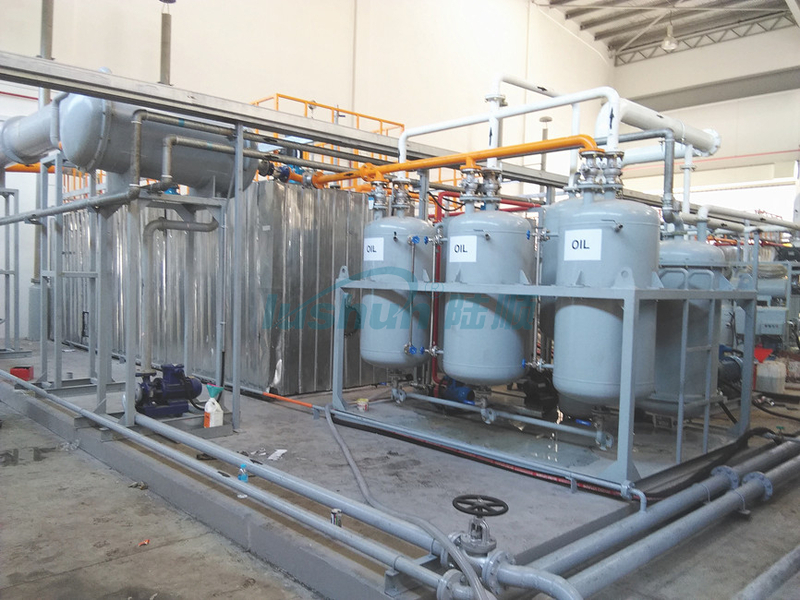 During the processing of the oil regeneration, oil mists and volatile matters are discharged after being burned and purified. 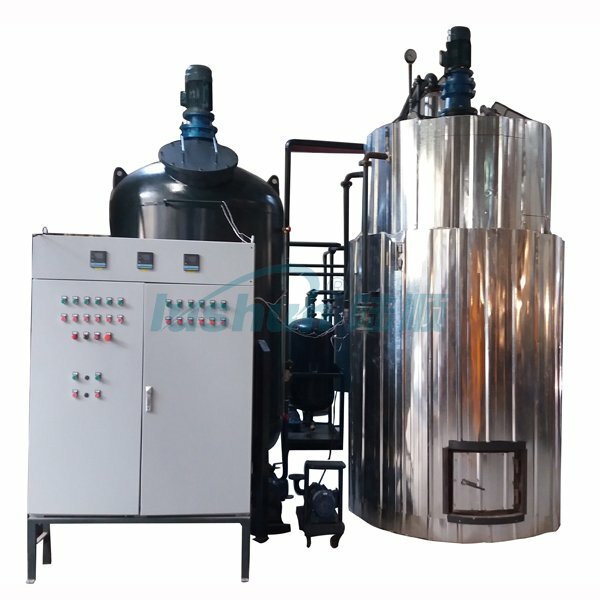 Its heat supply mainly adopts burning oil, natural gas, coal or electric heating. 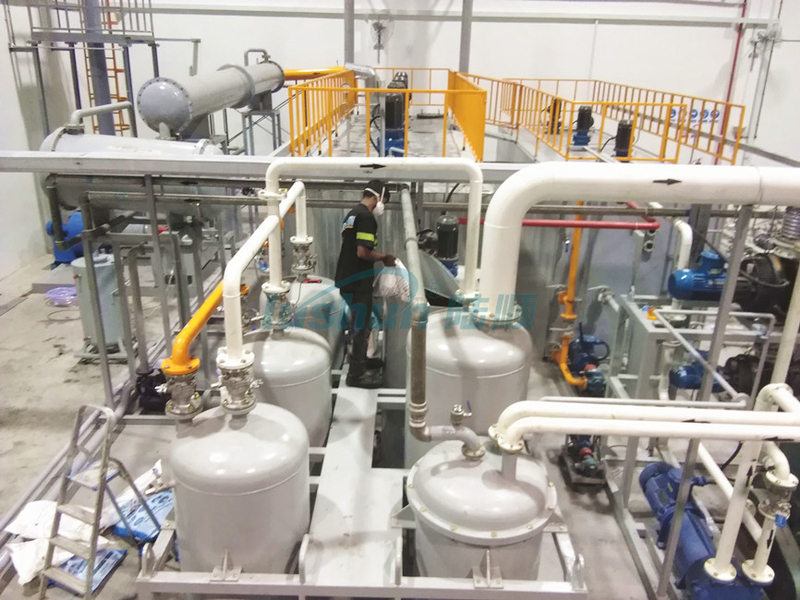 ●It is available for purifying and regenerating waste oil such as waste machine oil, various engine oil and lubricating oil, etc. ●It is equipped with tail gas treatment system to ensure the emission standard for environmental protection. By burning oil, natural gas, coal or electric heating.